While our sister architecture company was busy handling the design and construction of the stadium, we were asked to come up with the logo for the stadium, as well as many of the graphics that would give it its trademark soccer-specific personality. 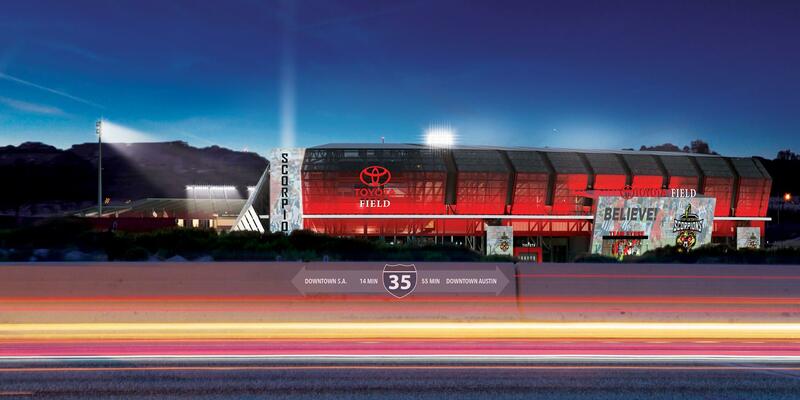 The logo was going to be a large focal point on three of the exterior sides of the stadium and needed to be designed to be displayed both horizontally and vertically. 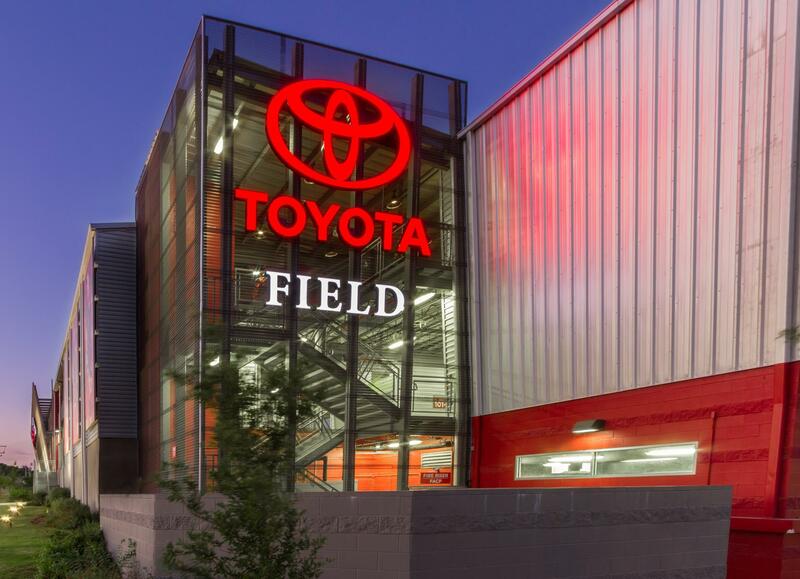 We worked together with the team at Toyota to come up with a logo that allowed their brand to be recognized on its own while still making sure that it would be read as the name of the stadium. After trying out styles of fonts and layouts, Toyota approved this custom font for the logo. As the stadium was under construction, we worked within a tight deadline to ensure that the stadium was filled with engaging and relevant graphic design elements to help set the exciting mood for the fans coming to watch the game. 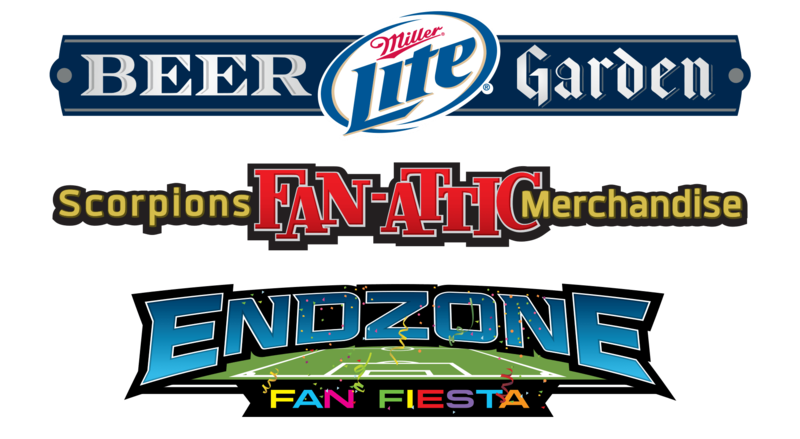 In addition to accent graphics, we also produced the wayfinding signage and signage for the concessions & themed areas within the stadium. 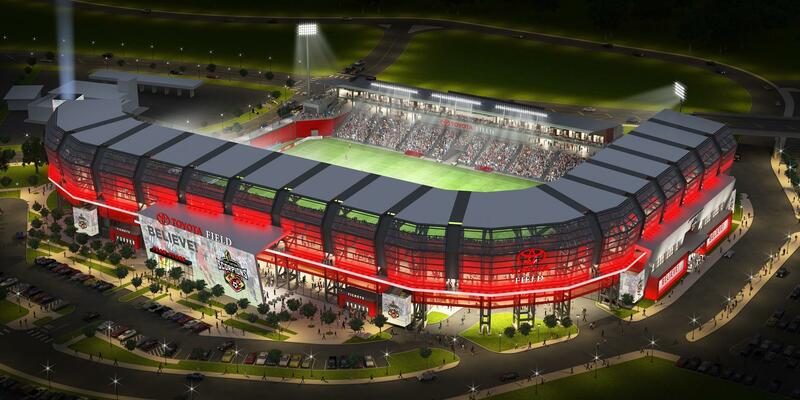 The main goal of the entire San Antonio Scorpions organization was to get the team to an MLS level. 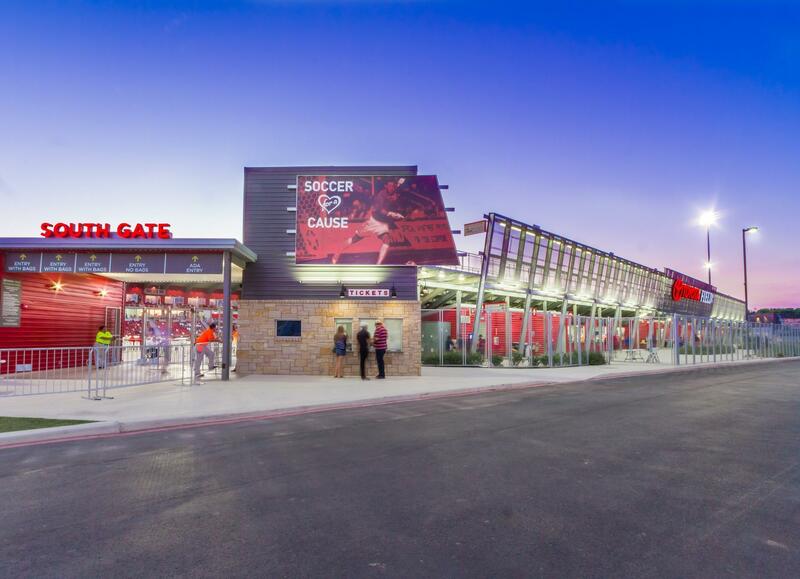 They had a professional, soccer-specific stadium that they were playing in, but they needed to get investors lined up in order to help push them to the next level. 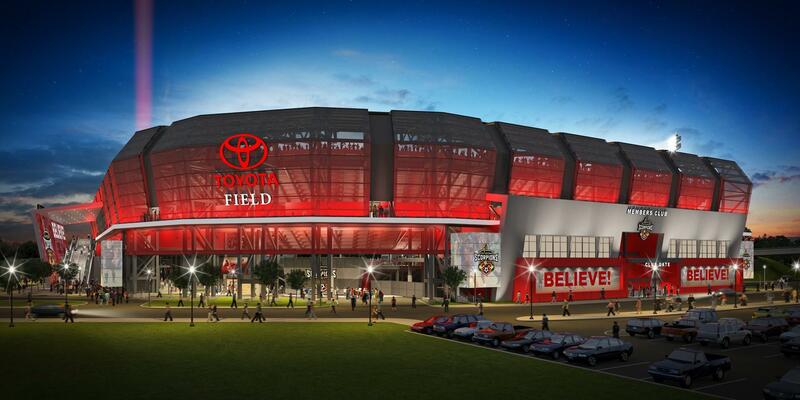 We were asked to put together a brochure to help illustrate the fact that Toyota Field could host an MLS team by showing its current level of use and demonstrating its ability to be expanded upon in the future. In order to fully express the growth potential of the stadium, we were asked to demonstrate the final construction phase through 3D illustration. 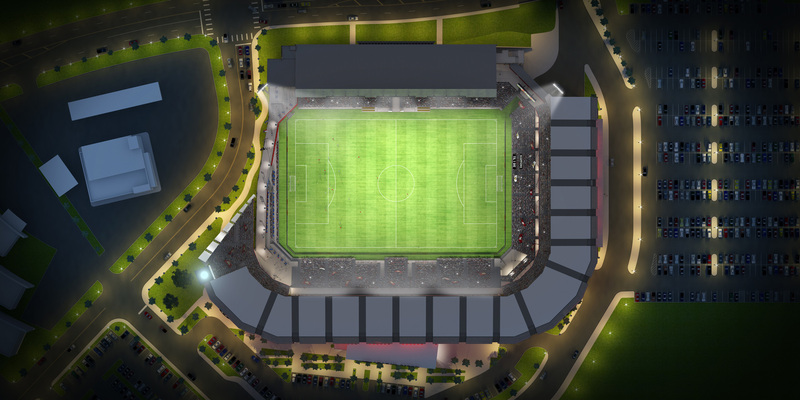 Using the potential plans laid out by the architects, we created these images that were released to the public that illustrate the amazing potential that Toyota Field possesses.